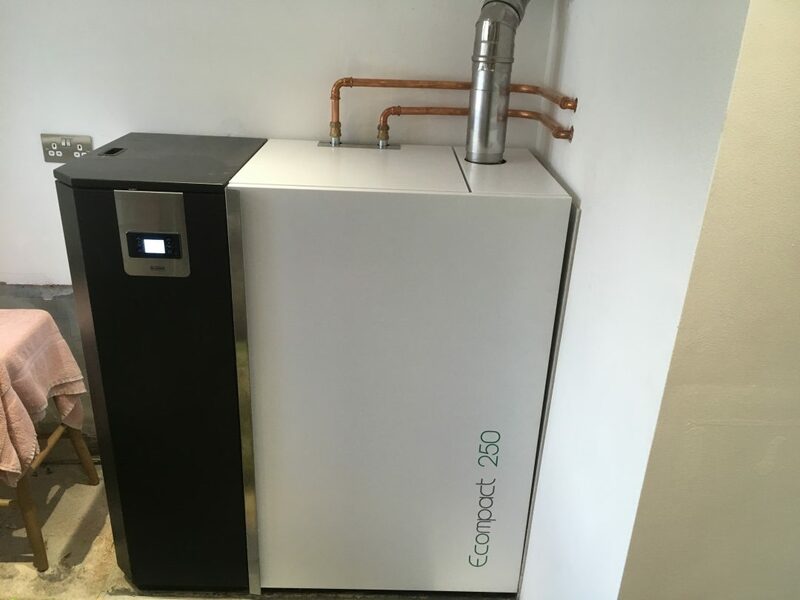 Chapmans Well | Bywhe Renewables Ltd.
We were asked to replace an old oil boiler, for a new and efficient Klover Ecompact 250. 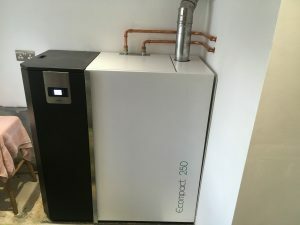 This system simply replaced the old boiler so was added into the heating system, without much other work to the central heating system. This allowed the customer to have cheap and renewable heat for their home.